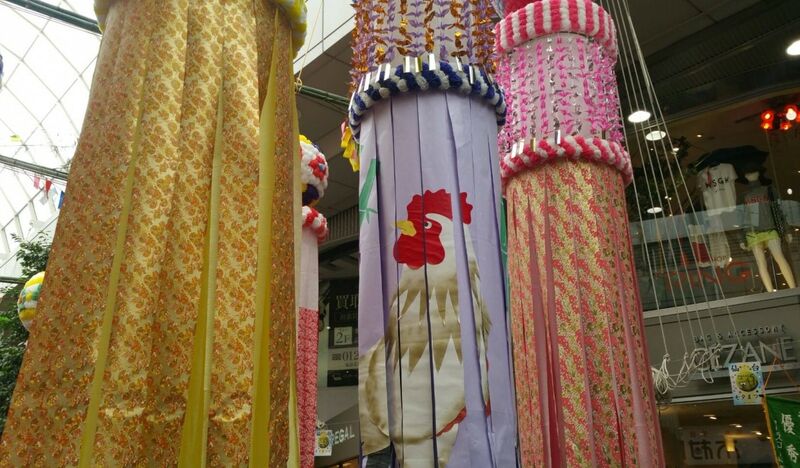 Maybe it's because it is the year of chicken, you can see chicken-themed Tanabata ornaments! This one reminds you about the crystal clear blue beaches in Japan. Hey! Even Pikachu came all the way to Sendai to welcome you! Food! Food! One of the reasons why we go to Japanese matsuri festivals! Look at those grilled squid! Yum! Can't miss these grilled fish too! Actually, the real meibutsu, or specialty, of Sendai is zunda which is a sweetened soybean paste. It tastes quite similar to adzuki (red bean) paste, but I would say zunda tastes sweeter than adzuki. You can easily find zunda dessert shops where they sell zunda smoothies, zunda mochi and even zunda ice cream! If you have a craving for zunda desserts but going all the way to Tohoku is too much, check out the zunda dessert shop near the east exit of Ikebukuro Station in Tokyo! Sendai has a variety of gourmet dishes. Just like zunda desserts, gyutan (grilled beef tongue) is another nationwide famous meibutsu of this region. I was very surprised to find out that Sendai Station is full of gyutan restaurants! I went there around 3 p.m. but there were still so many people waiting to try Sendai gyutan. On the way back to Sendai Station, I found these interesting ornaments. Can you see pink, blue and green papers hanging in the small bamboo tree? This is another feature of Tanabata Festival. People write their wishes on the colored paper and hanging it on the bamboo tree. From the well being of family to world peace, I could see so many different wishes on the tree. If you could write your own wish, what would you wish for? Hi there! I'm AAJ's Korean team leader. With a focus on travel and food, I try to uncover the hidden charms of Japan, a land that's close to Korea in many ways, but also quite different. Please enjoy! 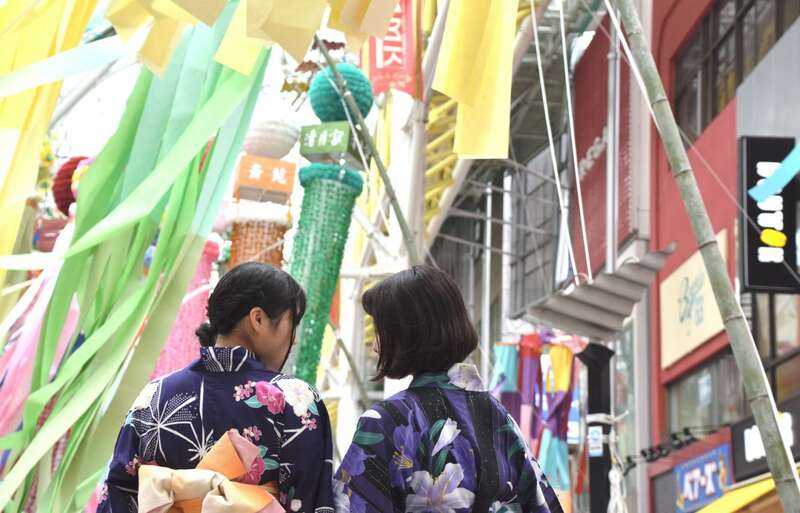 Hanagasa Matsuri: Grab Your Flower Hat!